It was the worst assignment of Kate Diamond’s career. Worse than the time she had to jump over a snake pit. Worse than the time she had to steal a ruby from an ice hotel and definitely worse than the time she toppled into a volcano. Why? Because of one person. Ace Mason. In a quirky twist of fate, her ex-FBI partner and ex-boyfriend was now her new partner at the Ritzholdt museum. Their assignment is to pose as a newly-rich married couple on board their private luxury yacht to ferret out the famous international jewel thief, The Lemur. Too bad the mission is plagued with problems including a cast of quirky suspects and the troublesome fact that Kate and Ace have to share a room. Lucky thing Kate has the help of her retired jewel thief parents and their band of thieves, safecrackers and con men from the Golden Capers retirement village because everyone on board the yacht is suspicious. But while Kate is busy scrutinizing the suspects and dodging Ace’s attempts to reconcile, The Lemur is busy crafting a clever misdirection that could ruin all of Kate’s well-laid plans. Lee's best series out there. Kate Diamond is partnered with Ace Mason, Her former FBI partner and romantic interest, before he caused her to lose her job. She has been working for the Ritzholdt Museum as a stolen art recovery expert since losing her previous job. Ace also now works for the same museum as he also lost his job with the FBI when he went AWOL to help Kate when he learned she was in trouble in Mexico. They are posing as husband and wife that will be donating a famous artwork to the Ritzholdt from their yacht. Hosting a party with all the well know art scene crowds that were present at previous thefts. The goal of the operation is to catch the Lemur. An art thief who has been stealing art from museums and individuals for decades. 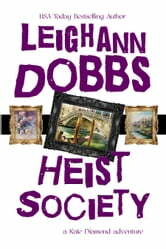 Leighann Dobbs continues the tale of Kate Diamond with another fast paced tale that has several twist and fairly fast paced story. 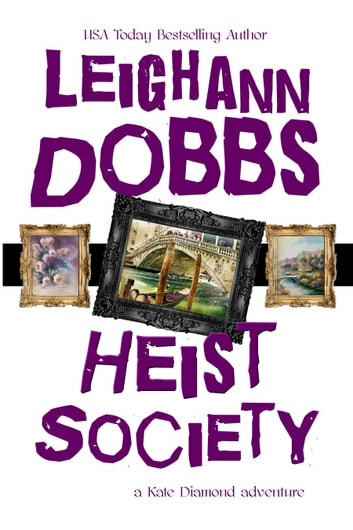 Leighann Dobbs always writes amazing engaging stories with likeable and recognisable characters and fun. thatis what this book delivers. Great read. I'm looking forward to the next book in this series.